Rung as part of Slimbridge Parish Armistice Commemoration. Remembering the 23 men from the parish lost in WW1, 3 of whom were bell ringers at this church. First submitted Saturday, 10 November 2018 at 10:45:17 by James Joynson. 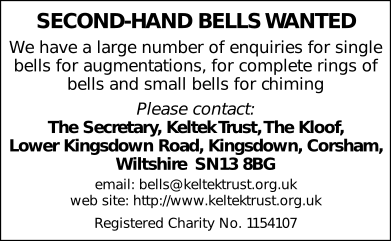 Sent for publication in The Ringing World on Thursday, 15 November 2018 at 23:30:07, and printed in issue 5614.